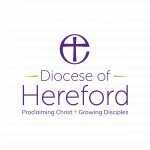 The Diocese of Hereford is committed to growing its Christian communities and needs a highly skilled person to encourage a Diocesan-wide spirit of generosity to secure resources to make this happen. We have the fastest take-up of the Parish giving scheme in the country yet actual levels of giving in the Diocese remain very low. If you have the skills and experience to encourage generous Christian stewardship, then please get in touch. We are looking to appoint a Parish Giving Adviser covering our Hereford and Ludlow Archdeaconries to implement our generous giving strategy. This aims to broaden the understanding of and engagement with stewardship across the diocese and help deliver a step change in giving to facilitate sustainable and holistic church growth. The primary role is to be 'on the road' meeting with Parochial Church Councils (PCC's), treasurers, incumbents and congregations to encourage and enable them to identify and then find the resources necessary to fulfil their mission. The role involves the continuing promotion and take up of the national Parish Giving Scheme. Developing a culture of generosity is essential if we want to help the church to be a transforming Christian presence across our communities. We have a parish offer (not share) scheme, have seen the fastest take up of the Parish Giving Scheme nationally over the past 12 months and yet there is still an urgent need to build our future church on a sustainable financial footing. Fully implement the Parish Giving Scheme; encouraging parishes not just to sign up but also to increase giving using it. Grow, lead and train an honorary giving champion team to work across the diocese and take a direct support role for parishes. Support PCC’s to encourage innovation and creativity, identifying and promoting good practice in budgeting, maximise giving and harnessing new ideas and ways of giving– including contactless payments, legacy policies, investment of reserves; applying for Gift Aid; and use of online giving tools. Introduce a legacy policy for the Diocese and encourage PCC’s to adopt their own. Ability to launch initiatives and ensure people sign up and engage with them. An understanding of Christian theology and biblical principles of Christian giving. Our worshipping community is made up of 12,800 people of all ages and backgrounds. With 420 churches - we are the Church of England in Herefordshire, south Shropshire and parts of Monmouthshire, Powys and Worcestershire. Our usual Sunday congregations are the largest proportion in the country at 3.9%. Our clergy and readers also carry out 55% of funerals in the diocese, the highest percentage in the Church of England and we are second for the number of baptisms. 27% of babies born in our diocese are christened and welcomed into our church family. We were founded in 676 AD and cover roughly 1,650 square miles with many of our church buildings of historic importance. Serving 326,000 people we are part of the Church of England which itself is part of the wider Anglican Communion.